MUZAFFARABAD: (Parliament Times) The 6th meeting of AJK development working party chaired by Additional Chief Secretary Development Dr. Syed Asif Hussain was held on Tuesday. Apart from two representatives of federal government, the meeting was attended by secretaries of concerned departments and officers of Planning and Development department. The meeting reviewed 31 projects to be completed at a cost of 4 billion 91 crore rupees. These projects related to Works, Communication, Agriculture, Industries, AJK Small Industries Corporation, Sericulture, Sports, Affairs of Youth and Culture, Social Welfare, Tourism, Information Technology, Information and Development of Media, Education, Public Health and Physical Planning and Housing sectors. In communication sector schemes like 44 km roads, agriculture training center at Garidupatta, promotion of sericulture, construction of mini sports stadium, setting up of Special Education Center at Rawalakot, establishment of women centers at district headquarters Sudhnuti, Bhimber and Kahuta were brought under consideration in the meeting. It was decided that the historical status of first capital of AJK Janjal Hill would be restored under tourism department. The meeting also reviewed promotion of tourism, computerization of driving licenses in AJK, setting up of laboratories in 100 middle schools and approval of automation project of judicial syste. Under education department schemes of construction of 50 high school buildings, repair and provision of goods for children’s early age programme were brought under discussion. In health sector repair and renovation of old surgical block of AIMS for provision of better medical facilities and ongoing projects for preventive measures with the financial assistance of federal government were also discussed. The meeting reviewed construction of sub-division offices in Khuiratta in Kotli district, water supply scheme in Mirpur city and restoration of sewerage lines in Muzaffarabad. Addressing the meeting Additional Chief Secretary Development Dr. Syed Asif Shah said that the process of development all over AJK continues without any discrimination. He directed the departments that during the planning of the projects they should keep in mind public needs. He said comprehensive strategy should be formulated for promotion of tourism in the State. 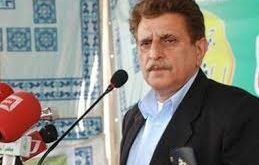 He said PC-I was being constructed with careful planning to make Janjal Hill, the first capital of AJK a tourism spot. He asked the departments to keep their needs in mind while preparing the projects to ensure that maximum public needs are fulfilled. He directed that the process of development should be monitored effectively and priority should be given to completion of projects in time.